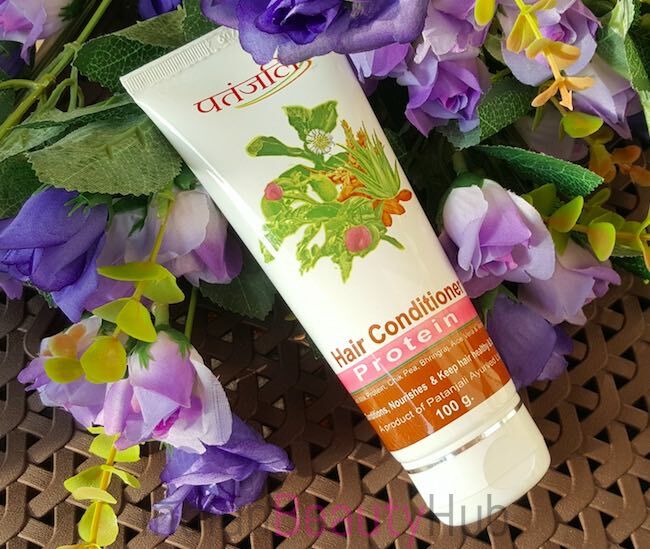 Hey everyone, today I’m reviewing the Patanjali Protein Hair Conditioner. It claims to nourish dry & damaged hair and make hair strong & shiny. 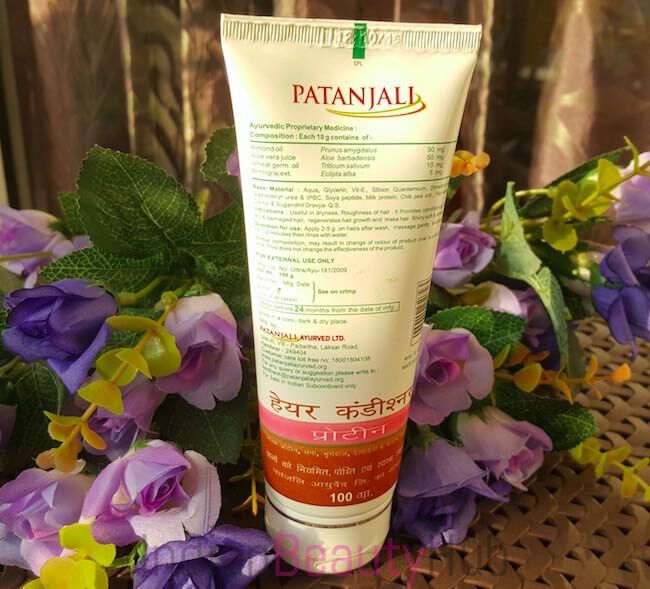 You can also check the reviews of other Patanjali products here. 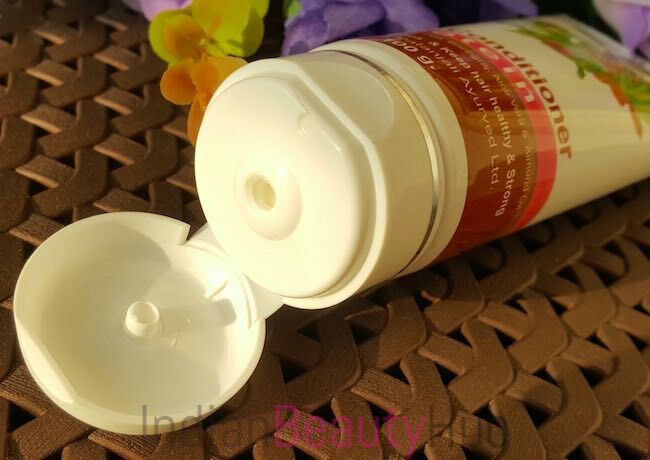 Packaging: Patanjali Protein Hair Conditioner comes in a white plastic tube with a flip cap. Overall the squeeze tube packaging is sturdy, easy to use and can be carried along easily while traveling. The product related required information is also provided on the tube. 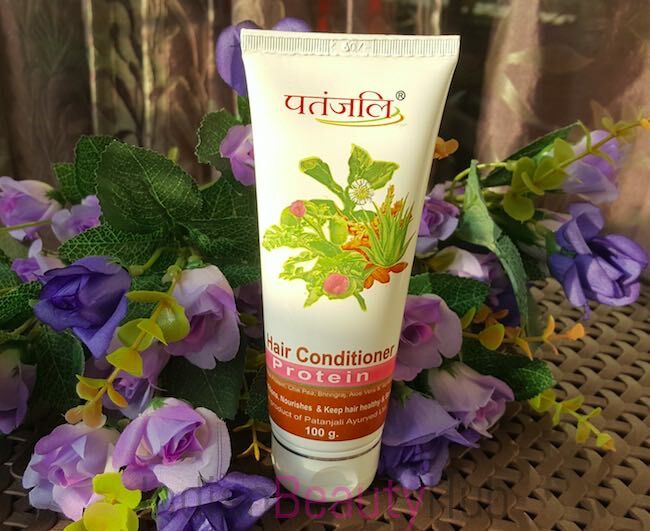 Texture & Fragrance: Patanjali Protein Hair Conditioner comes in a milky white color and has a whipped cream kind of consistency & texture. It has a quite strong herbal mix fragrance which I found very unpleasant. 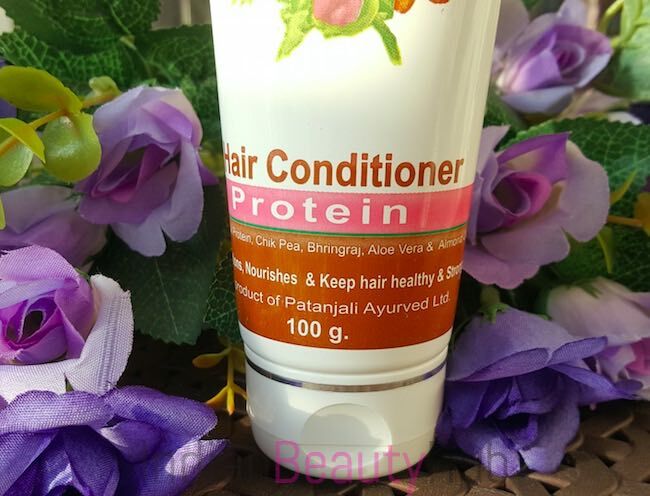 Price & Availability: The price of the Patanjali Protein Hair Conditioner is Rs.60 for 100g. You can buy Patanjali products from various Patanjali outlets, Big Bazaar and also online from Amazon.in. 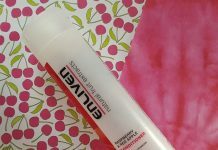 Efficacy: After washing my hair I take a generous amount of this protein hair conditioner and apply it evenly on my hair, starting from mid lengths to the hair ends. I leave it on my hair for 5 minutes and then rinse it off using normal tap water. It comes out easily without leaving any residue behind. 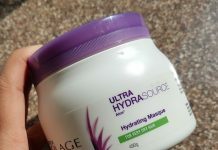 It does moisturize my hair a little but is not able to control frizz or manage my unruly hair. I have very thick, naturally curly and frizzy hair. After trying this conditioner for 3-4 times I’ve not seen any difference in the condition of my hair. It doesn’t cause any hair fall which is a big relief for me. 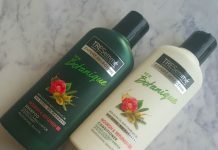 I bought this conditioner only after reading its amazing ingredients and I was expecting some good results. But unfortunately, it didn’t work for my hair and its awful smell is another turn-off for me. 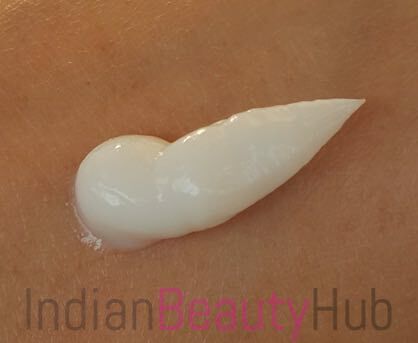 It is enriched with some interesting natural ingredients like Bringraj, Wheat Germ oil, Almond oil and Aloe vera. Can be washed off easily. It has a very weird smell that stays on the hair for 3-4 hours. Didn’t live up to its high claims. 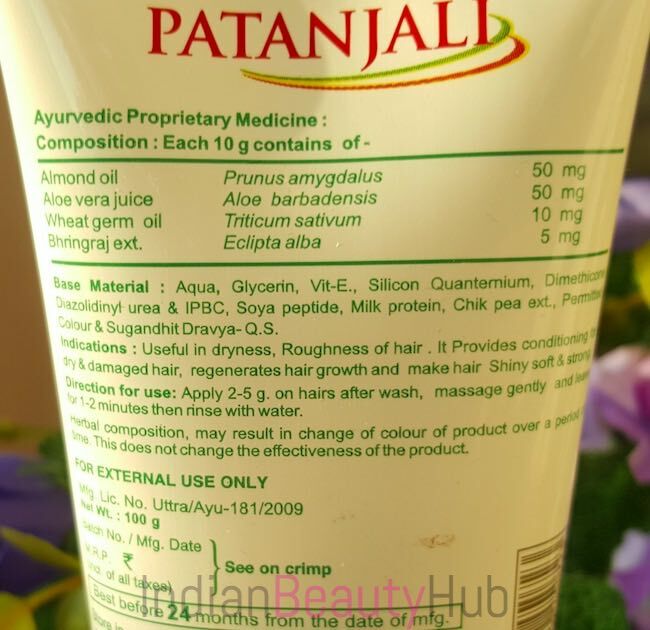 Overall I'm very disappointed with the Patanjali Protein Hair Conditioner as it didn't work for my hair. It promises to reduce dryness, promote hair growth & makes hair shiny & soft but is not able to fulfill its high claims. I'll neither buy it again nor recommend it to anyone. It didn’t worked out on your hair because you didn’t apply it on your scalp. Other conditioners are advised not to apply on scalp but this is not the one. Because whatever it claims to be can be done if you have applied thoroughly on your scalp. Scalp is the place which needs nutrition.